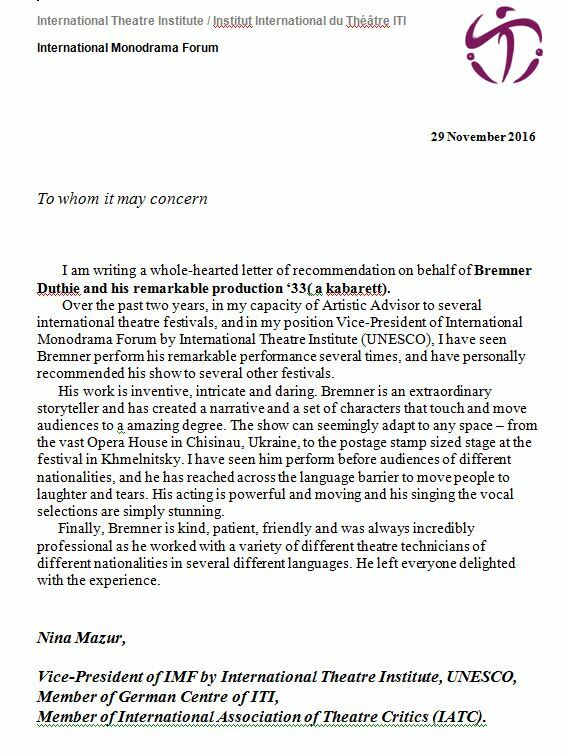 performance is jaw-dropping-my jaw literally dropped"
'33(a kabarett) has been performed at festivals and theatre across the USA and Canada. It was recently invited to Yervan, Armenia to open the Armmono Theatre Festival on the occasion of the 100th anniversary of the Armenian Genocide. 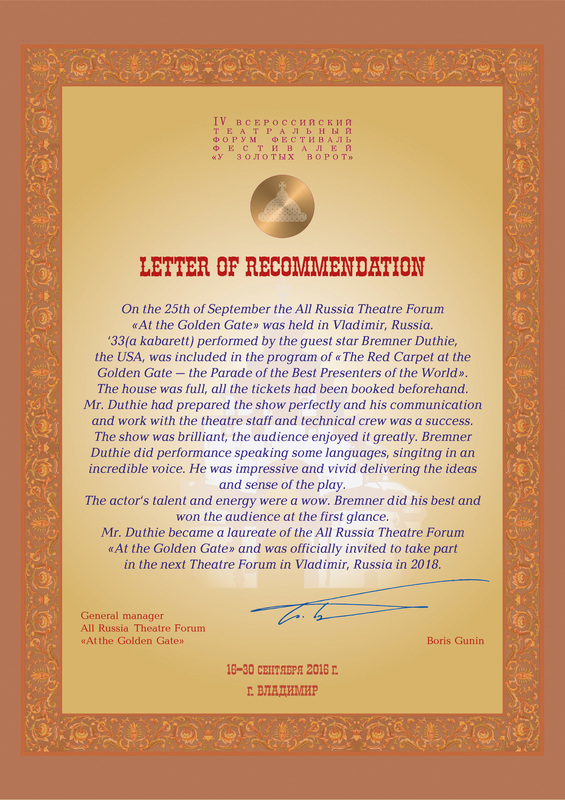 In Europe it has been performed in theatres and festivals in France, the United Kingdom, Macedonia, Moldova, Ukraine and Germany and in the upcoming year it has been invited to Russia and Kyrgystan, Belarus, Germany, Ukraine. '33 (a kabarett) lasts 70 minutes without an intermission. It is adaptable to a great variety of performance spaces. It has played on Main Stages and in non-traditional spaces. It is performed with either live accompaniment from Piano or Jazz Trio, or with backing tracks recorded for the show by Bremner's jazz trio. 2. Cabaret Songs of the 1920's and 30's: from Dietrich to Noel Coward. '33 (a kabarett) will be on tour in the USA and Europe for selected dates through 2015 and 2016. Please contact us at bigemptybarn@gmail.com for more information.